3/17/03 – Aboard the U.S.S. Abraham Lincoln, in the Persian Gulf. 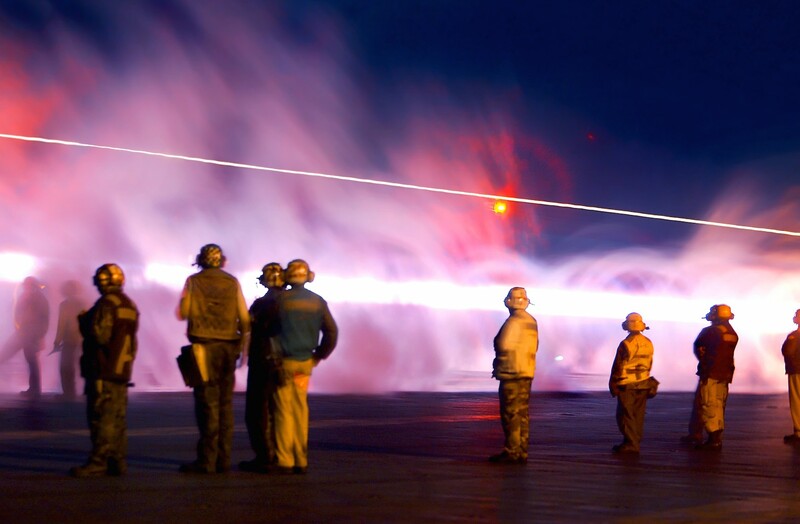 In this long exposure lit by moonlight and the pink glow emanating from the exhaust of jet engines, crew members look on as an F-18 Hornet loaded with the maximum load of cluster bombs, takes off with full afterburners for night missions over Iraq.